Proverbs & Wisdom » Now This Is A Beautiful Lady! 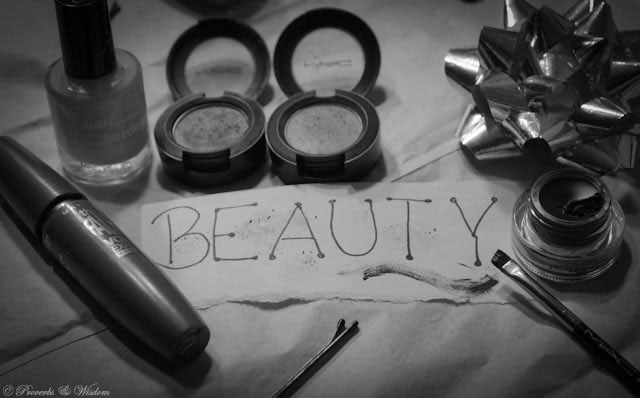 LADIES, are you looking for some beauty tips or ways to maintain your beautiful appearance? MEN, would you like to know what’s behind a woman’s beauty and how not to be fooled by it? People put a high value on beauty. Not only with women, but with everything they look at. Of course, the appearance of anything is going to be noticed first. It is human nature to like anything appealing, and not in a sexual way– but with food, clothes, and art. The Word says that it is the inner beauty that is constantly renewed, not the outer beauty (2 Cor. 4:16). Because outward appearances fade, we should place a higher value on what’s inside. So ladies, work on strengthening and developing your inner person. Don’t focus too much on your outward appearance, it’s not going to last anyway! Instead work on what will last, so when your appearance does fade, you’ll still be beautiful in heart. For men reading this, when meeting a lady, do not solely focus upon her outward appearance. Proverbs 31:30 says, charm is deceptive and beauty is vain. If you’ve ever heard the saying “looks can be deceiving” this is exactly what Proverbs is referring to. Here the Scriptures explain that even Pharisees, who were considered holy people, had deceiving appearances. They appeared beautiful, but deep within they were not. Their outside appearances covered who they really were as individuals. You see, God values what’s on the inside of us. He looks at our inner beauty. We can be clean, we can look nice, smell nice, our outward appearance can be flawless– but God does not look at that. He views what’s on the inside. God doesn’t see people as we see them. He looks beyond what people display and searches for what’s hidden. He’s more interested in what isn’t showing to the naked eye. This verse tells us clearly just how inner beauty is valued: it is “very precious”. So the beautiful woman is not the one who has an appealing outward appearance, but the woman who is pure in heart, has a gentle and quiet spirit, and who is precious to God. Besides ladies, God’s temple and Spirit dwells in you (1 Cor. 3:16). You don’t want God’s house, His temple that’s in you to be filthy. So be pure, be beautiful– but this time from the inside! And men, don’t be deceived by a woman’s looks. Don’t fall for a woman who “has it all” on the outside, yet is empty in the inside.